one of the most fulfilling, exciting and important experiences of your wedding. 1. A range of high quality, imported wedding gowns to hire or buy. 2. A brand new imported wedding gown designed and tailor made especially for you. All sales are final and we at Crystals and Creme are not responsible for items once they have been signed for and or have left the studio. ​There are no refunds, exchanges or returns. We are available for consultations during the week and on Saturdays. Our consultations are an hour long and we charge a fee of R100. The fitting fee is payable cash at the fitting and PLEASE NOTE we do not have card facilities. If you would like to return for a second fitting there will be no fee or if you want to view only it's for free. At the consultation we will discuss what you are looking for and try on beautiful dresses to ensure you find what you like. Our prices range from R2 500 till R20 500. 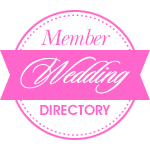 We invite all brides to be, to contact us & let us help you find or create your dream dress!